This guide also can work on the compatible laptop models listed above, such as Acer Extensa 4220 Series, Travelmate 5720 seires. 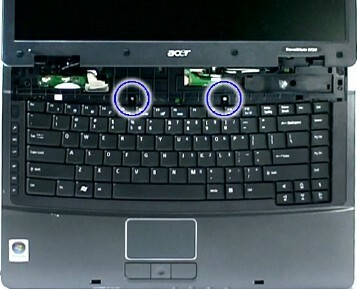 In this case, the actual laptop is Acer Extensa 5220 / 5620. 1, Shut down your Acer Extensa 5220 5620. Disconnect the AC adapter and remove the battery. 4. Detach the cover and turn it over on the keyboard. 5. Disconnect the Power board cable from the main board and disconnect the Power board cable. 6. Remove the Middle Cover together with the Power board. 7. 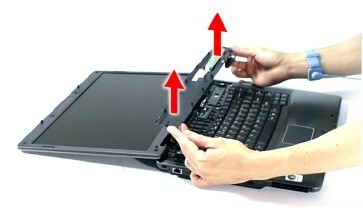 Remove the two screws securing the Acer Extensa 5220 5620 keyboard to the upper case. 8. 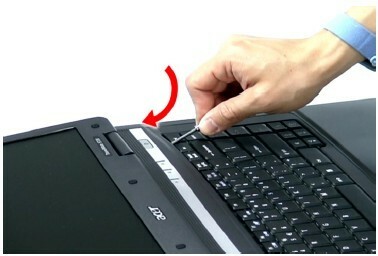 Carefully pry the keyboard out of the latch and slide it out; then turn it over on the touchpad area. 9. Disconnect the keyboard cable from the main board to remove the Acer Extensa 5220 5620 keyboard. 10. 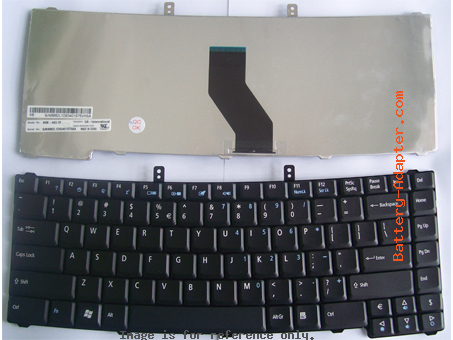 Reverse the procedure to install your new Acer Extensa 5220 5620 Keyboard.